Through this blog we have always tried to spread the good word about various crowd-funded (Kickstarter, wishberry and such) projects. Here’s one more film which looks interesting and you can contribute to its making. If you find the trailer and the clip interesting, you can help the filmmakers complete the film. Click here to go their IndieGoGo page and fund the film. If you want to know more the film and the filmmakers, over to the team for all the other details. Adam Dow (Co-Director, born and raised in Seattle, and is currently settled in Mumbai) has been making films since the age of twelve with his father’s old VHS camera. He has written and directed several short films that have been circulated in the US festival circuit. He received the Mary Gates Scholarship for leadership in 2001 and started the University of Washington’s first improvisational theatre troupe. Upon his move to Mumbai in 2007 he founded India’s first Improv Group known as Improv Comedy Mumbai and in 2011 was nominated as one of the people to watch in Mumbai by CNN. Ruchika Muchhala, (Co-Director, is of Indian roots, born and raised in Indonesia and Singapore, and is currently settled in New York). She has worked on several documentary projects as an editor and television series as a writer and director. Her directorial debut was “The Great Indian Marriage Bazaar”, a documentary in which she navigates through the complex system of arranged marriages in modern-day India. The film aired internationally on various television channels, including BBC World, and at women’s and international film festivals in 2012. Both of us were complete “outsiders” to the world of Bollywood, when we came in 2007 to Mumbai to work on a web series about the different facets of Bollywood. During the making of the web-series, we came across 4 very interesting characters – Pooja Kasekar (dancer), Harry Key (Australian “white” extra), Ojas Rajani (make up artist) and Prem Singh Thakur (Union Leader) – and when we approached them with the idea of making a film on them/their lives, they readily agreed. So, the Beyond Bollywood journey began in 2008 and we decided to finish shoot after 4 years of filming, in 2012, which is when we decided that it was time to now start putting the film together. We realized, while filming, that in order to capture their journey’s in the industry (and of their lives), we would need to spend time with them. Only then the audience will be able to see some character growth and development – but more than that, their real stories. Both of us truly believe in storytelling and wanted the audience to feel that they were watching a film, and not snippets of their lives, being narrated by a voice over. 3. 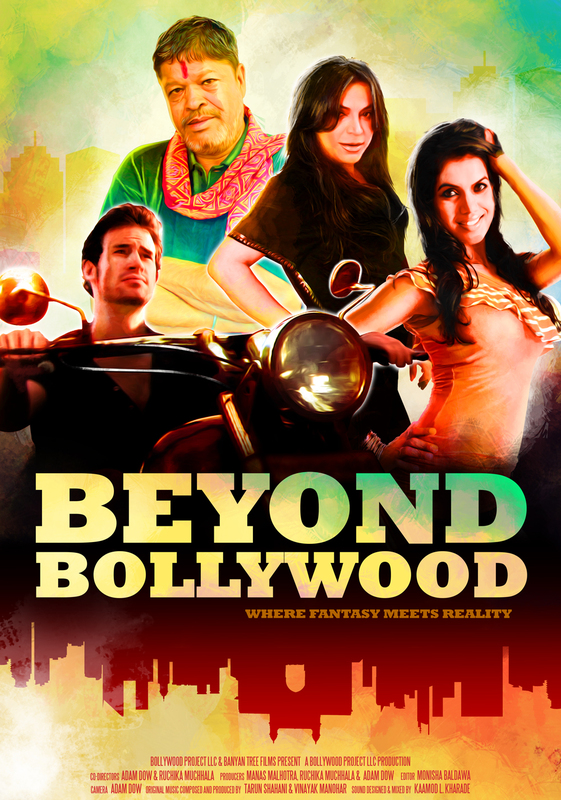 Why should you support “Beyond Bollywood”? We decided to follow these characters because we felt a certain connect with them and found them to be extremely passionate about what they were doing – Pooja Kasekar, whose idol is Madhuri Dixit, came to Mumbai to become a dancer and through sheer hard work, moved on from being a background dancer to a lead dancer and also got a role in a film as the lead actress. Prem Singh Thakur, who a lot of our filmmaker friends would know, is meant to be one of the most honest men in this profession and has been elected Vice Chairman of the Union over and over again. Ojas Rajani has been in the film industry for more than 20 years now (is considered one of the top make up artists in the industry) and has done make up for some of the biggest names in the business. 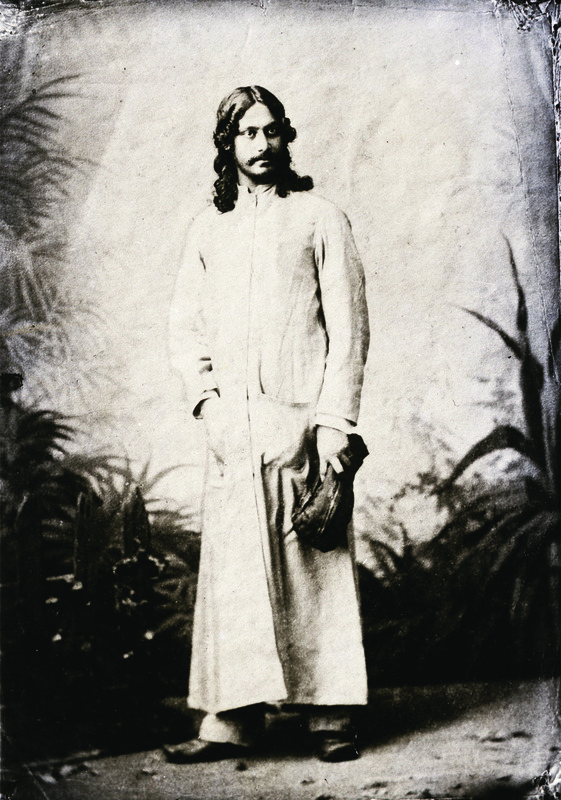 Harry Key, a complete outsider, came to India to travel and possibly find some work, landed up on a film set the day he arrived in India. Initially it was tough for him to find work here, but again, through sheer hard work and perseverance, he decided to stick around, kept trying, and managed to do TV Commercials and Films (as an extra). He also got a major role in a small hindi film, which unfortunately didn’t release. They all came from outside the film industry (most from outside of Mumbai), had a dream of making it BIG (a subjective term), were extremely passionate about what they were doing, and each one through sheer hard work and determination was able to do something that they (and everyone around them) would certainly be proud of. They did something BIG in their own right! 4. What do we need the money for? So far, we have funded the production and post production on our own and now we have run out of funds (and our parents have stopped supporting us too!). We need US$ 12,000 to complete the film – sound, picture and some licensing fees for the film/music clips we are using in our documentary. We are running a crowd funding campaign on Indiegogo (link here) to raise the funds to be able to complete the film. Please watch the trailer and visit our Facebook site and help us by contributing and/or passing on the trailer/fb link to your friends and family who might be able to contribute. a brilliant offbeat take on the hundredth year of Bollywood.. Finally someone is making a movie about this. Big ups! This will be one fascinating watch. Why hadn’t anyone thought of this before? Or a similar idea has already been implemented w/ Bollywood as the backdrop? On a different note, there are so many stories to tell yet we see very few get implemented and showcased.